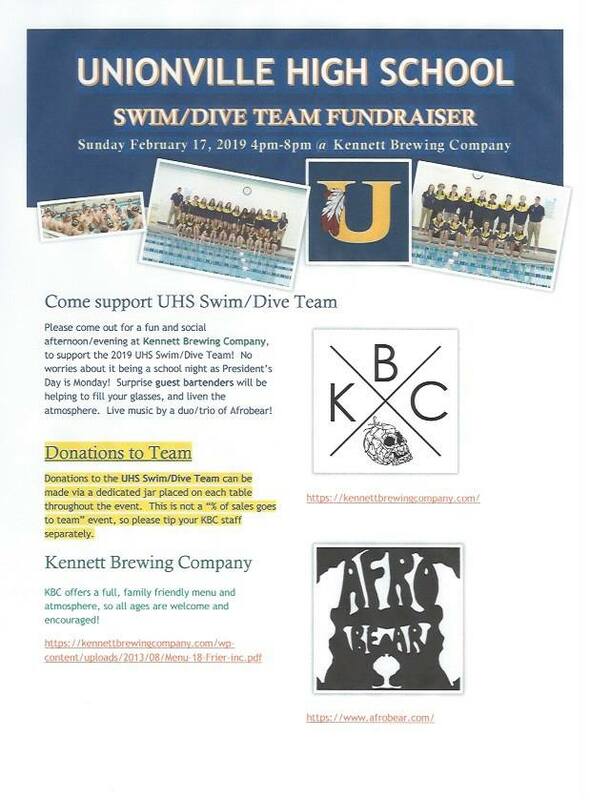 Come support the 2019 Unionville High School Swim/Dive Team on Sunday, February 17, 4-8pm! Surprise guest bartenders will be filling your glasses and live music by a duo/trio of Afrobear! Donations to the UHS Swim/Dive Team can be made via a dedicated jar on each table throughout the event.